Figure 7. 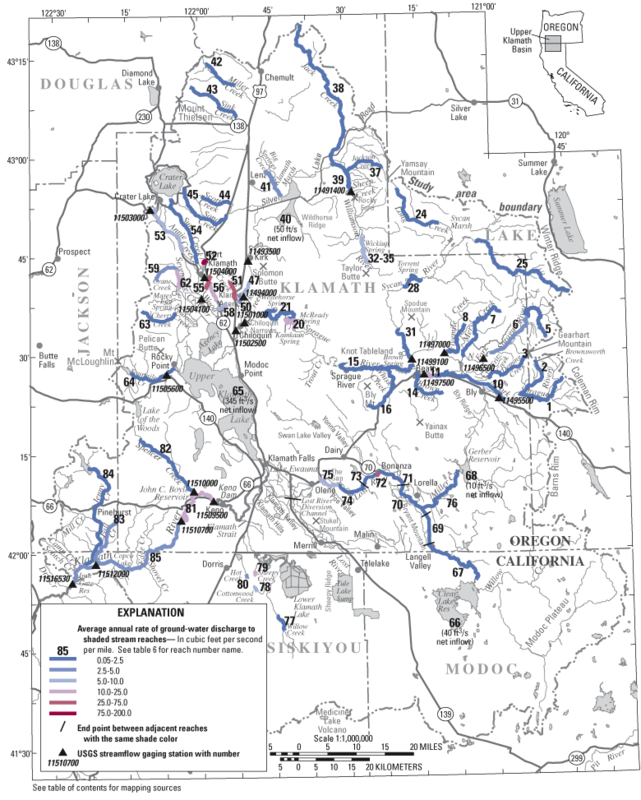 Principal areas of ground-water discharge to streams and major springs in the upper Klamath Basin, Oregon and California, and selected stream-gaging stations. Shading along main stem reaches represents ground-water discharge (in cubic feet per second per mile) averaged along the entire shaded reach. The actual location of ground-water discharge may be localized. Shading along headwater streams represents the ground-water discharge averaged over the shaded reach and includes ground-water discharge to tributaries. See table 6 for detailed descriptions of measurement locations.